A home typically constitutes a person’s most valuable tangible possession. The sale or purchase of that asset should be handled carefully by professionals with the expertise and knowledge to guide you through the maze. Scott, Harris provides those qualities, having handled all aspects of residential real estate transactions for over fifty years. Scott, Harris acts as the closing agent for the sale of residential properties throughout South Florida. 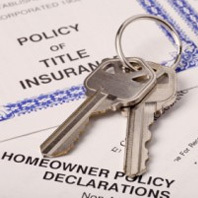 Those services include conducting the closing; preparing the deed of conveyance and other purchase and sale documents; issuing the title insurance commitment and title insurance policies; coordinating the closing of the buyer’s mortgage loan; ordering surveys and estoppel letters; and verifying payment of taxes and other assessments. We typically provide those services for the cost of the title insurance premium, not charging a separate attorneys’ fees. This means that experienced real estate attorneys and paralegals are available to address any issues which may arise and to assure that the closing proceeds smoothly and that your interests are protected. Another significant aspect of our real estate practice involves the representation of purchasers of residential property. The purchase of a home can be a daunting process which the typical person does not have the experience or expertise to properly navigate. We guide you through that process by reviewing your title insurance commitment to insure you receive “clean” title; reviewing the deed of conveyance and other closing documents for compliance with your contract and the provisions of Florida law; reviewing your survey to confirm that no encroachments, overlaps or boundary line disputes will limit or affect your rights to use the property; and confirming the closing figures provided by the closing agent to assure proper credits and adjustments. Whether you are selling or buying a residence in Florida, you should engage strong representation by experienced real estate attorneys to protect your valuable investment. Purchase money mortgage loan negotiation, loan preparation and review.